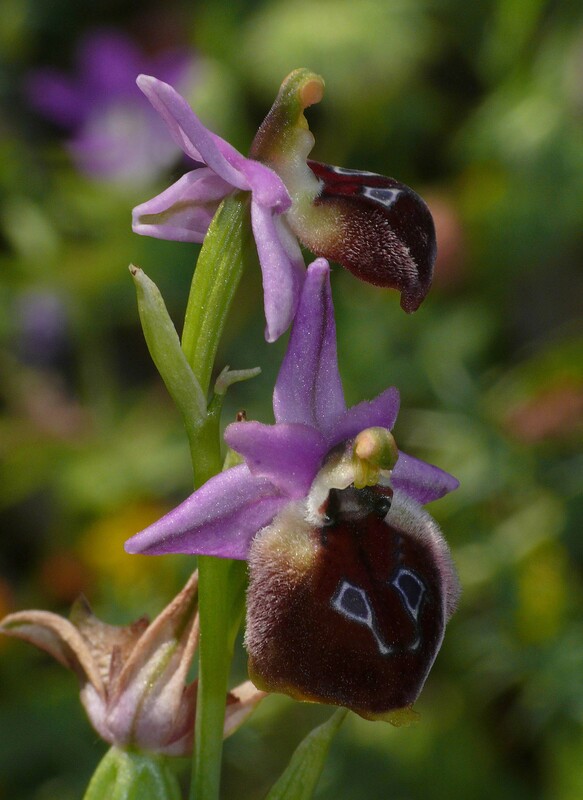 O. argolica was first described from Argos (Greece) by Fleischmann in 1919 and is the title member of the O. argolica group of Ophrys. This species is a Greek endemic with a limited distribution centered on the Gulf of Corinth but primarily in the mountains of the central and eastern Peloponnese. It is also known from scattered stations to the north of the Gulf (Delphi) and in Attica to the east of Athens. It has recently also been discovered on the slopes of Mount Hymettus within the precincts of Athens itself. 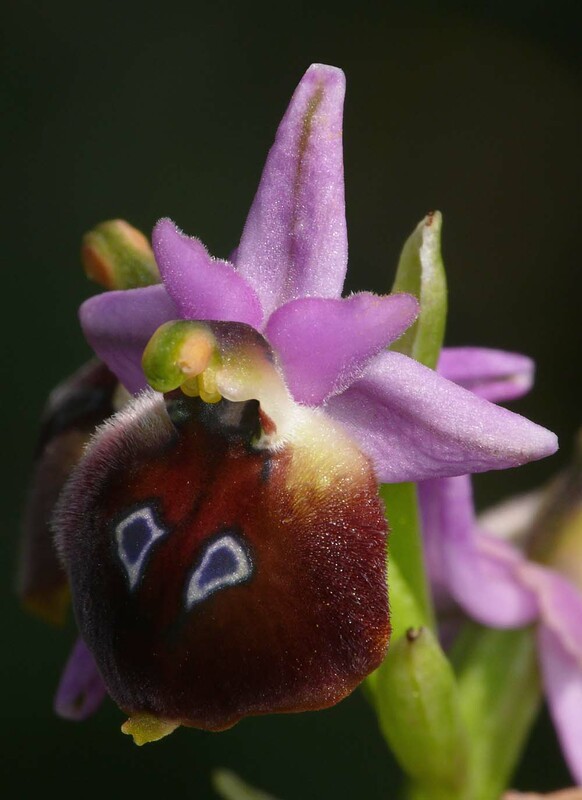 O. argolica is a distinctive orchid and unlikely to be confused with other Ophrys species except in just a few areas where its range overlaps with that of O. delphinensis. 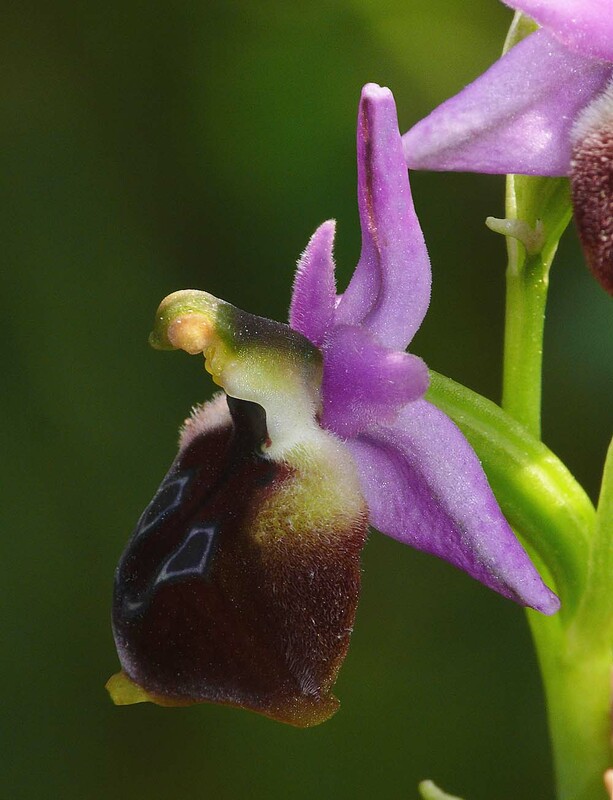 It is however reasonably straightforward to separate these two species and the most obvious difference is in the overall shape of the labellum. O. argolica normally has an entire, orbicular lip that is slightly wider than it is deep whereas O. delphinensis presents an oval appearance that is usually strongly three lobed and reminiscent of O. scolopax . The latters assumed part in the O. delphinenesis hybridogenous ancestry is evident. 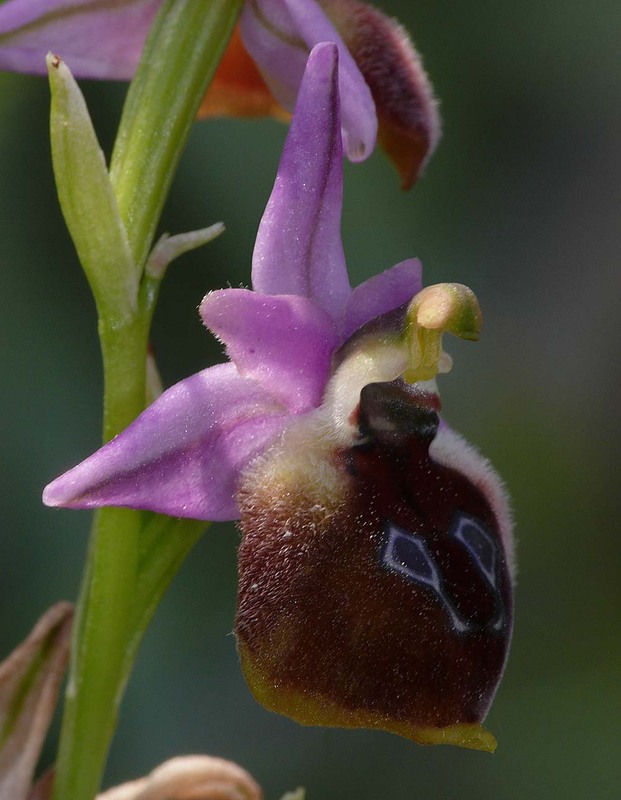 The speculum patterns are also dissimilar with O. argolica possessing a simple pair of eyes or uncomplicated horseshoe and O. delphinensis, more elaborate markings, again suggestive of O. scolopax. This is an early flowerer and is normally very much in decline by late April when O. delphinensis is in its prime. As has already been mentioned, the two species do overlap but around the Gulf of Corinth, O. argolica is steadily retreating in the face of absorption by the more aggressive O. delphiniensis. The pictures here come from a shady site to the south of the town of Corinth and date from late April when most other flowers of the species were long gone.